Stress has a function and so does emotional eating. 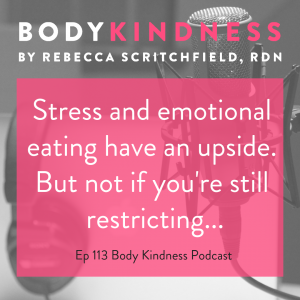 How you relate to stress and frame your views of emotional eating can make all the difference in how you feel about your body. In this powerful Learn and Grow episode, you’ll learn why Bernie needed to stop restricting in order to realize that it would help cut back his stress eating even when his life stress continued to rise. Catch up with the whole Learn & Grow series here!